Lifestyle magazine news and views with music thrown in! The programme aims to present you with thought provoking topics, community events and interviews with Birmingham’s local talent. The programme is intersected with a variety of conscious and interesting oddities from my vast collection of all kinds of music. On the Couch™ is a Radio talk show in a relaxed atmosphere like a family and friends getting together on a Sunday afternoon. We have real conversations about real issues that affect their day to day lives and their loved ones. Taboo subjects that families often don’t discuss in an open forum are explored on the show, in a safe environment where guest are honoured and respected for their personal journeys. 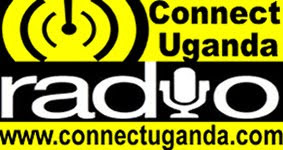 This show is focused on informing New Style Radio listeners on issues pertaining to business and personal finance management with the aim of exploring any factors that may affect individuals, and creating opportunities based on knowledge. A magazine style show, we focus on current and topical issues to entertain and educate you. Information show which tackles a variety of issues; current affairs, history, religion, economy and much much more. The Family Sunday Show features listener greetings, listener phone calls, jokes, riddles, news, guest interviews and much much more. Topical discussion programme for the African and Caribbean communities of Birmingham and the Black Country.